This week, the Ecological Society of America (ESA) Centennial Meeting was held in Baltimore, Maryland, so I was able to visit and learn about some of the exciting research our NSF-funded students and PIs are doing in the field of ecology. In the morning, I had an informative meet-and-greet session with a number of researchers who stopped by to chat with me about their research and their concerns and hopes regarding the future of biological science. We discussed the value of collaborative networks, of regional to continental scale data collection and access, of core funding through BIO’s Divisions, and a variety of other topics. 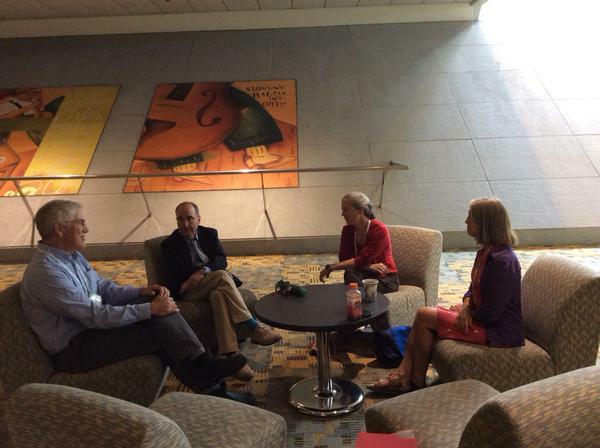 Most important, I got to listen, ask questions, and learn from the scientific community. 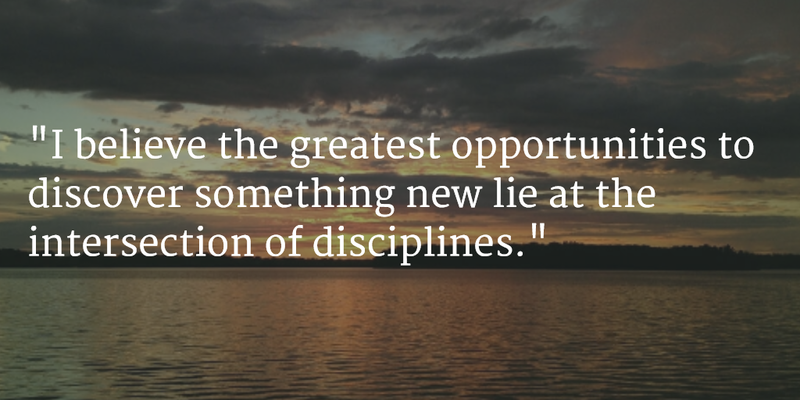 Though I am a neuroscientist, I am fascinated by and dedicated to absorbing as much information as I can about the fundamental science of the disciplines that are supported by the Directorate. 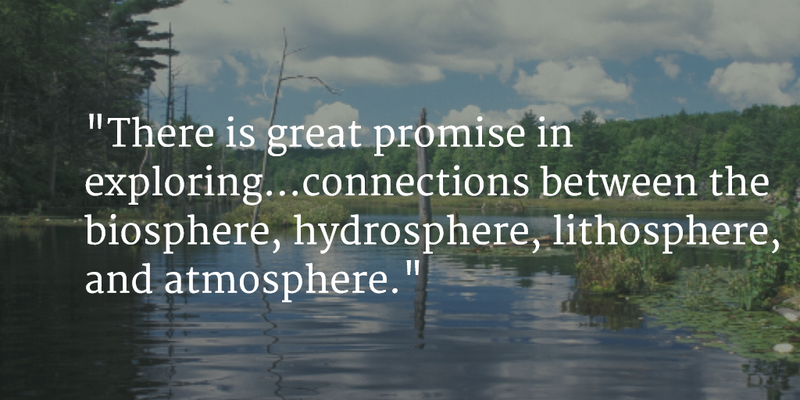 As a young researcher and later as a mentor, I had the privilege of working at Woods Hole in Massachusetts, which fostered my appreciation for the dynamic nature of ecological studies and the challenges faced by researchers tasked with elucidating the interactions of organisms and their environments. In the morning, I chatted with researchers from the University of Minnesota, UC Irvine, the University of Utah, and the Cary Institute of Ecosystem Studies. In the afternoon, I attended the National Ecological Observatory Network (NEON) session which included many Ignite-style presentations about the data and resources that NEON is or will be providing. The Q & A in this session gave me and other BIO staff members the chance to hear some of the questions the scientific community has about the Observatory. I followed up this session by attending some great podium presentations about collaborative networks and the Global Lakes Ecological Observatory Network (GLEON). 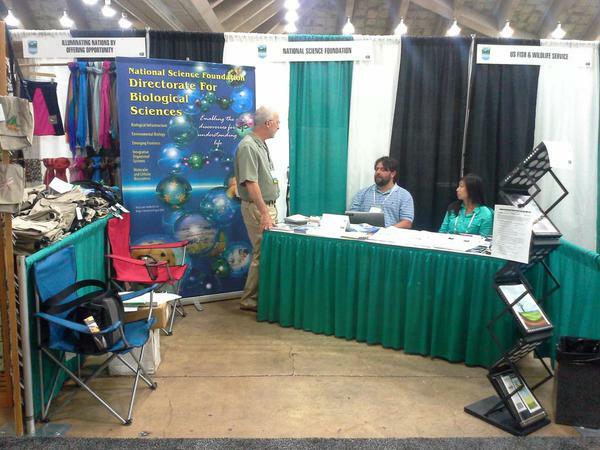 In the afternoon, I had the chance to talk with more researchers during another meet-and-greet session and visited the BIO booth in the Exhibit Hall. Many thanks to the BIO staff who took the time to speak with ESA attendees about the programs and resources BIO has to offer. A great day culminated in a Synthesis Center Reception co-hosted by SESYNC, NIMBioS, NCEAS, and the John Wesley Powell Center for Earth System Science Analysis and Synthesis. Synthesis centers are a signature activity for the Directorate. NCEAS began as an NSF-funded center and paved the way for other NSF-funded centers, including the National Evolutionary Synthesis Center (NESCEnt) at Duke, SESYNC, located in Annapolis, and NIMBioS at the University of Tennessee, which have all been great successes. These centers provide resources and sophisticated infrastructure to allow researchers from varied disciplines to gather together to address new questions that require the synthesis of data. It was a great day at ESA! I look forward to attending other professional society meetings and conferences throughout my tenure as Assistant Director of BIO. 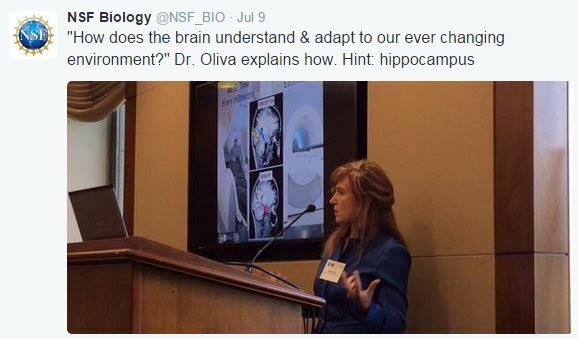 On Thursday, July 9, I had the pleasure of moderating a wonderful briefing on Capitol Hill, “Mysteries of the Brain: Frontiers in Neuroscience.” The National Science Foundation, Society for Neuroscience, and The Optical Society came together to co-sponsor this opportunity for Congress and the public to hear directly from leading researchers in brain science how far we have come and where we are headed when it comes to understanding the brain. 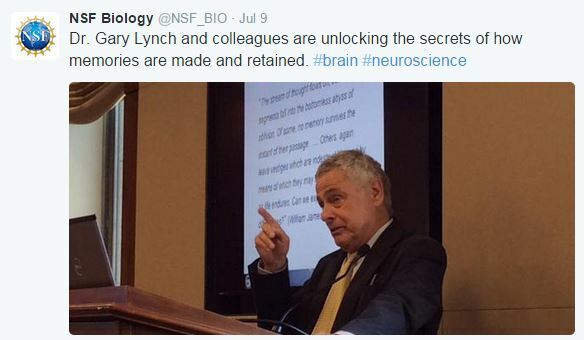 In 2012, Congress encouraged NSF to create a cross-Foundational activity in Cognitive Science and Neuroscience. Congress recognized that NSF was uniquely positioned to advance research in these areas and NSF responded by developing a cognitive science and neuroscience roadmap outlining our priority areas and potential funding mechanisms. Then, in Fiscal Year 2013, President Obama announced the multi-agency BRAIN Initiative, with NSF as one of the three lead agencies, along with the National Institutes of Health and DARPA. As a result, the Biological Sciences Directorate—in cooperation with other NSF Directorates (SBE, MPS, CISE, and ENG) —initiated Understanding the Brain, a unique program for fundamental research in neural circuits and neurotechnology, which draws together NSF’s ongoing activities in Cognitive Science and Neuroscience and new BRAIN Initiative activities. 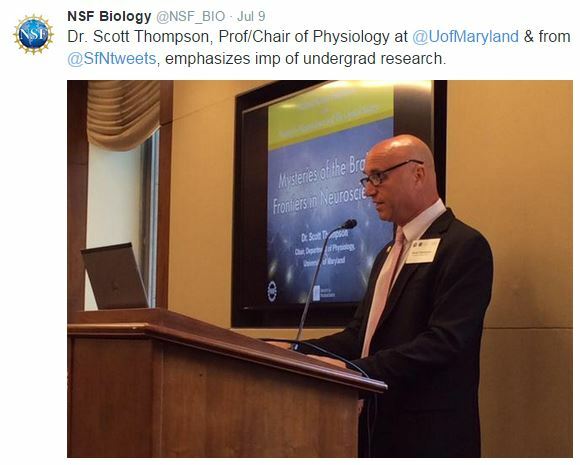 Dr. Scott Thompson, Chair of the Public Education and Communication Committee for the Society for Neuroscience, and Chair of the Department of Physiology at the University of Maryland School of Medicine, agreed with the Congressman that there is an exciting future ahead for neuroscience and he emphasized the value of training and research for undergraduate students. 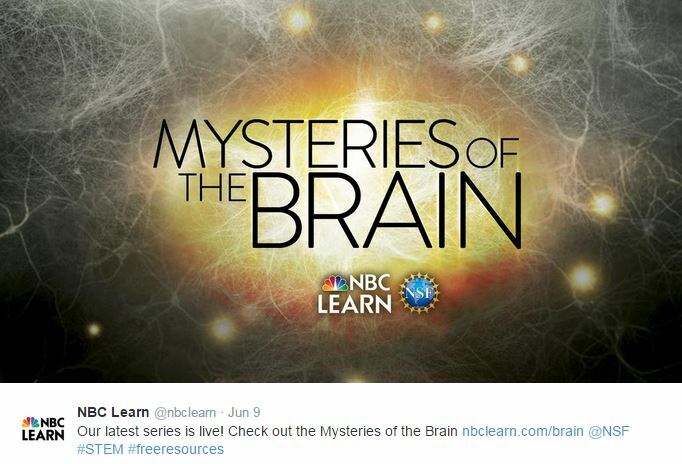 Another highlight of the event was watching an introduction to the new video series, “Mysteries of the Brain,” co-produced by NSF and NBC Learn. This series eloquently communicates the value and excitement of fundamental brain research and I hope you will find time to watch these terrific videos online. 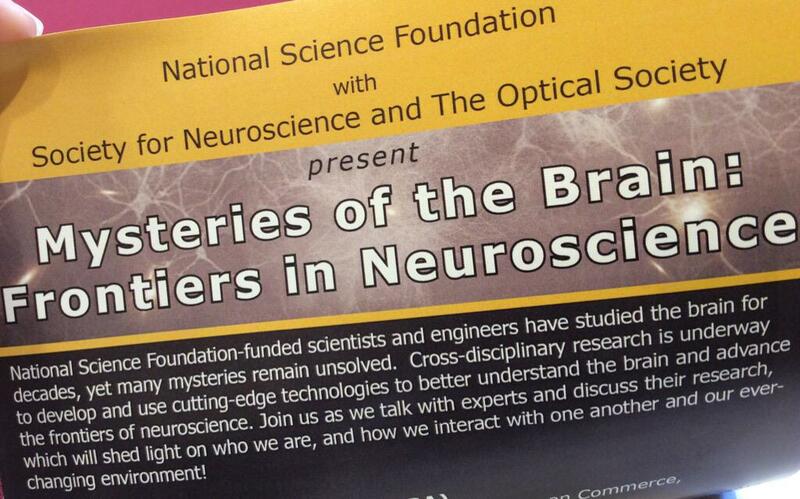 After the video, we enjoyed three dynamic presentations from scientists at the forefront of brain research. Dr. Gary Lynch from the University of California, Irvine, has uncovered deep connections between learning and memory and his team’s work has played a key role in forming the modern theory of how synapses—the gaps between adjacent nerve cells—encode memory. Dr. Lynch has received multiple grants for basic brain research from the National Science Foundation with potential applications to education and human health. Recently, Dr. Lynch has been using a novel class of drugs in an attempt to reverse the negative effects of aging on the anatomy and physiology of brain cells. Dr. Spencer Smith joined us from the University of North Carolina, Chapel Hill, where he runs a neuroscience and neuroengineering laboratory. Dr. Smith is working to understand neural circuits to expand our understanding of how the brain processes information. 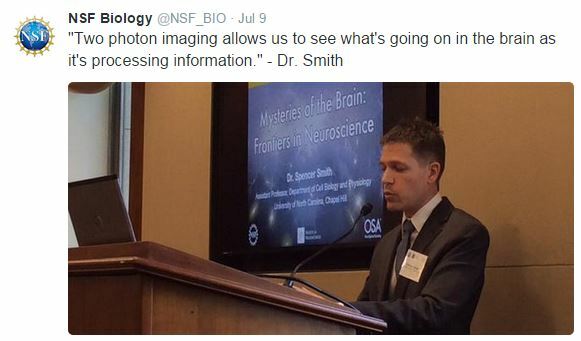 Dr. Smith and his multidisciplinary team of scientists and engineers are developing novel optical systems to create high resolution images of nerve cell activity, for which he and his colleagues received one of the first BRAIN EAGER grants from the National Science Foundation. Finally, we were privileged to hear from Dr. Aude Oliva from the Massachusetts Institute of Technology. Dr. Oliva has also received support from the National Science Foundation, including a Faculty Early Career Development Program grant for her work categorizing and identifying visual scenes. Dr. Oliva’s work combines state-of-the-art methods in neuroscience, cognitive science, and computer science to discover and model how perception and cognition are realized both in human and in artificial minds. These three speakers discussed new, key, discoveries about the organ we think of today as more efficient than a 20-Watt ultrahigh performance supercomputer—the brain. They shared new insights about everything from how individual neurons operate to how distant parts of the brain work together, enabling us to learn, see and do almost everything we do. It was so exciting to hear how science is finally unlocking the secrets to how memories are made and retained, and how we are developing new high-tech tools for seeing the brain in action. It was evident some of this research will be the foundation for future treatments for degenerative brain diseases and traumatic brain injuries. On behalf of the National Science Foundation and the Biological Sciences Directorate, I want to thank everyone involved in this event. It was a great day for science! As the Assistant Director of the Directorate for Biological Sciences (BIO) at the National Science Foundation, it is my pleasure to welcome you to BIO Buzz, the blog for BIO’s Office of the Assistant Director. This blog will be a platform for disseminating information about policies, procedures, activities and initiatives that extend across BIO Divisions and affect the biological sciences community as a whole. Our vision for the Directorate requires that the shared core values of the BIO Divisions—transparency, accountability, and inclusiveness—are reflected in the activities of the BIO Front Office. One step toward realizing this vision is to advance our existing communications strategy and enhance engagement within the Directorate and between BIO, the scientific community, and the general public. 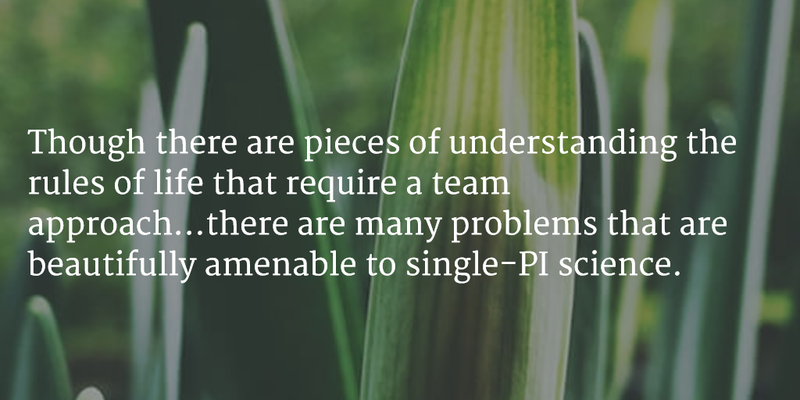 Effective communication is essential to fulfilling the missions of NSF and BIO. We hope you find the information here informative. Welcome to BIO Buzz!